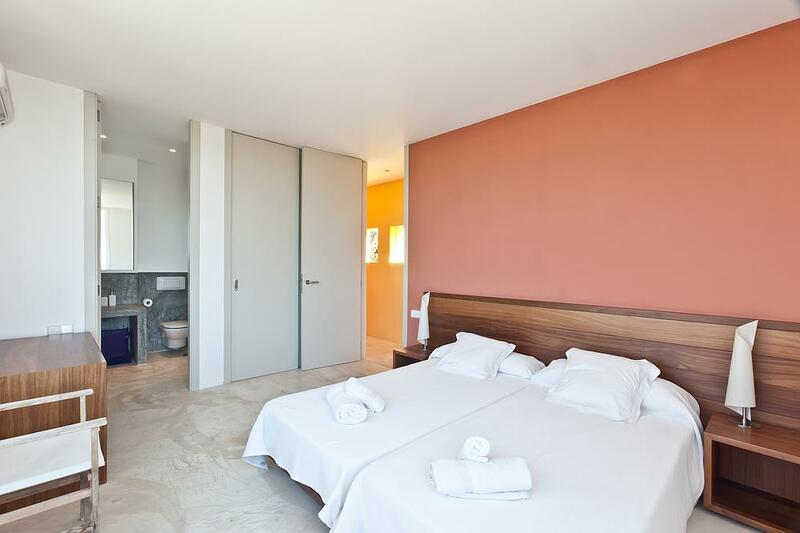 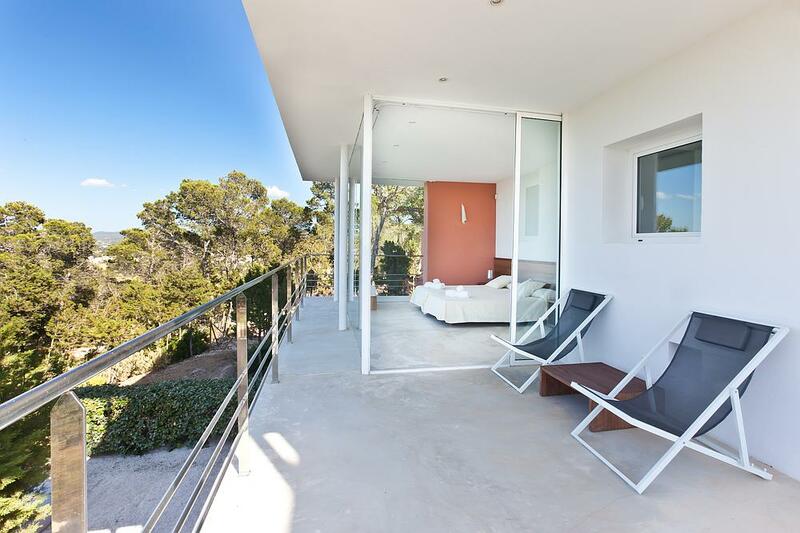 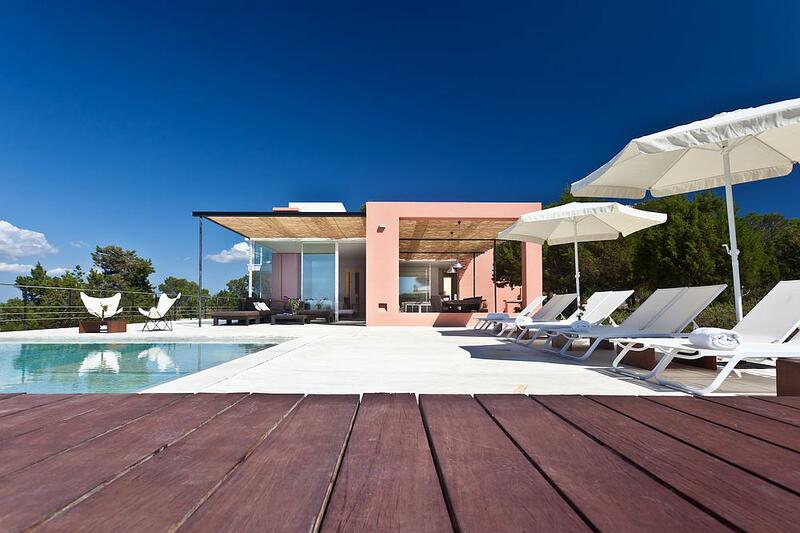 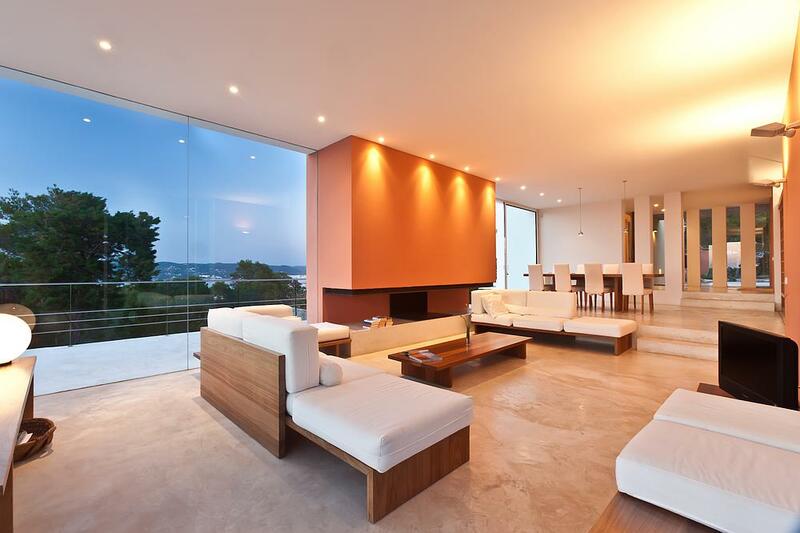 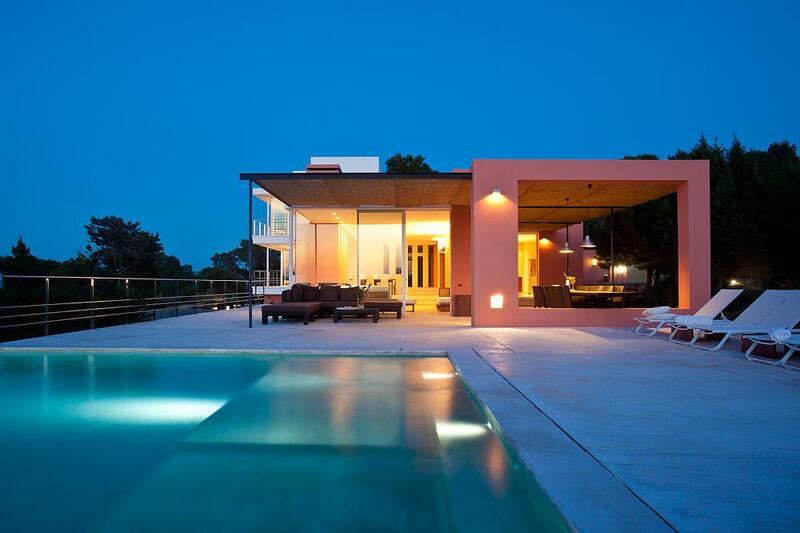 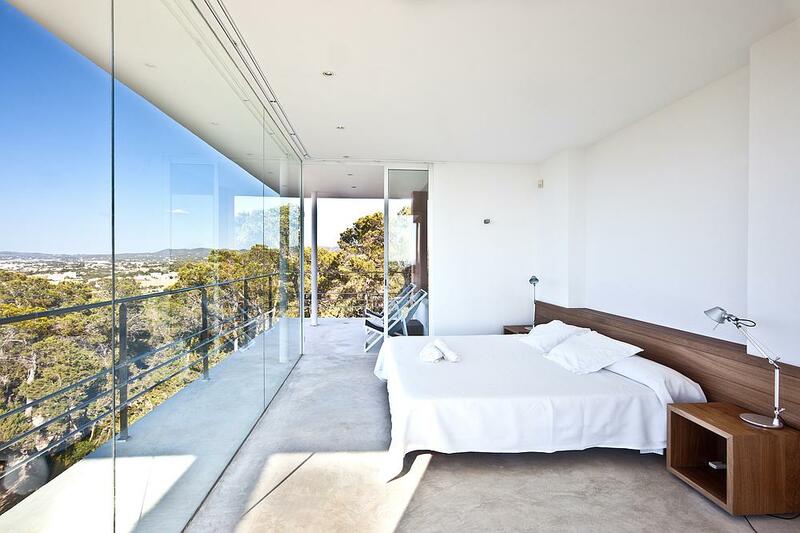 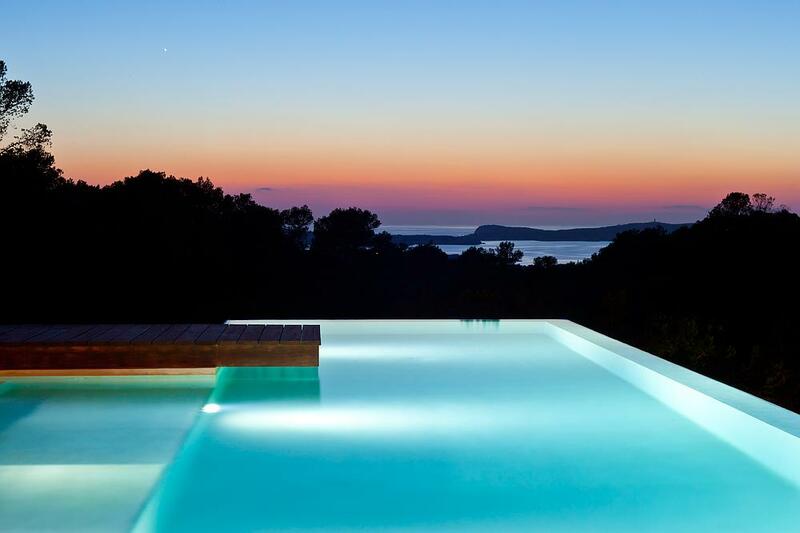 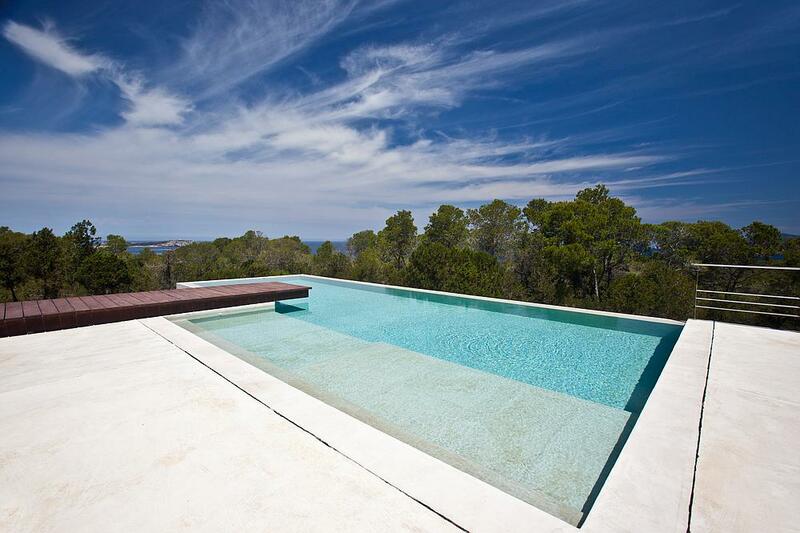 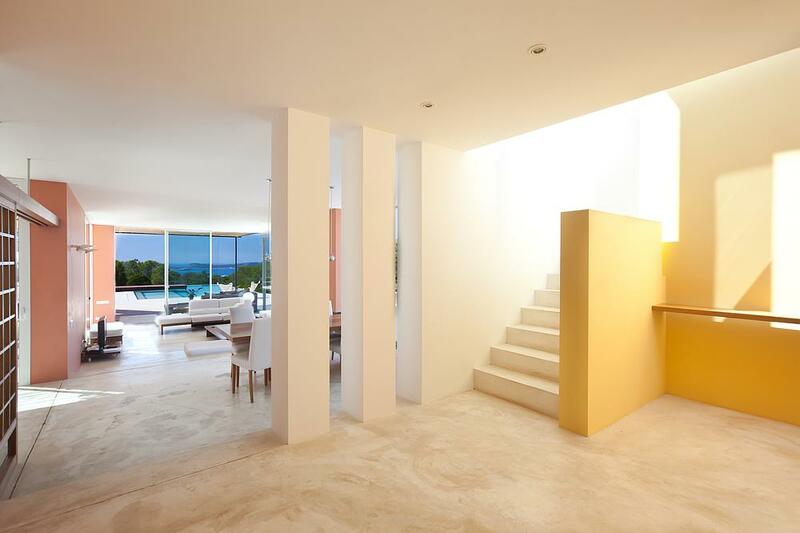 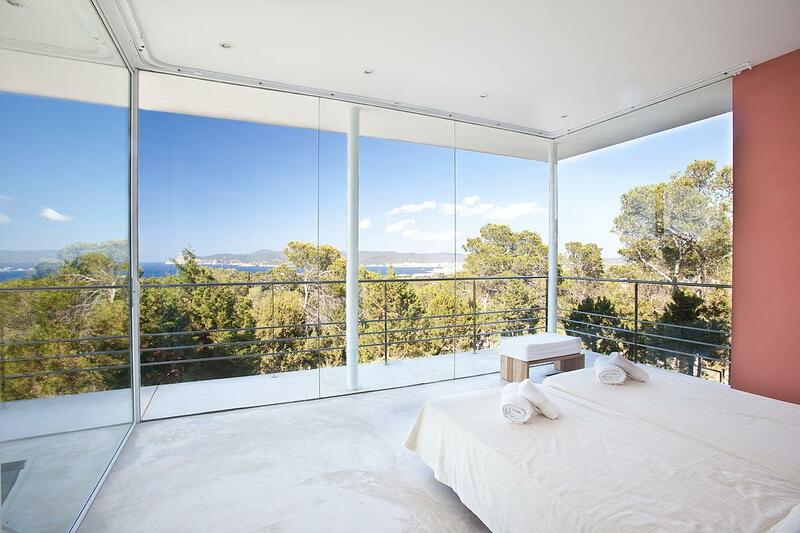 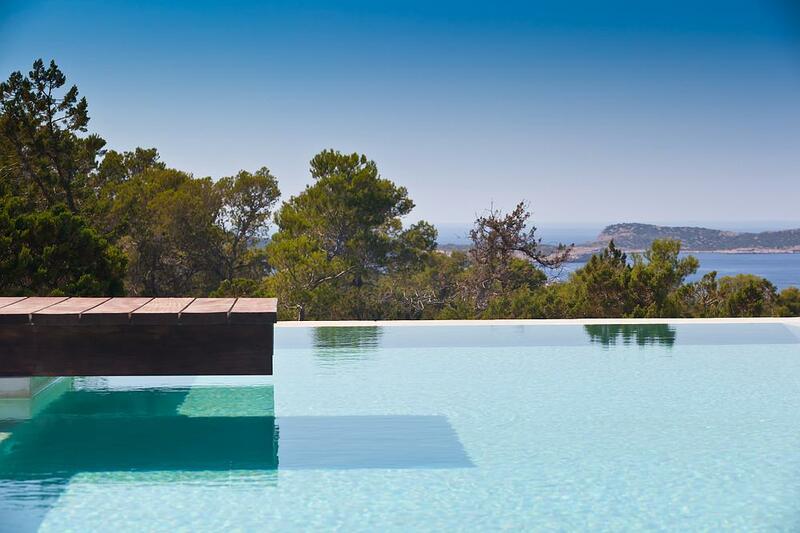 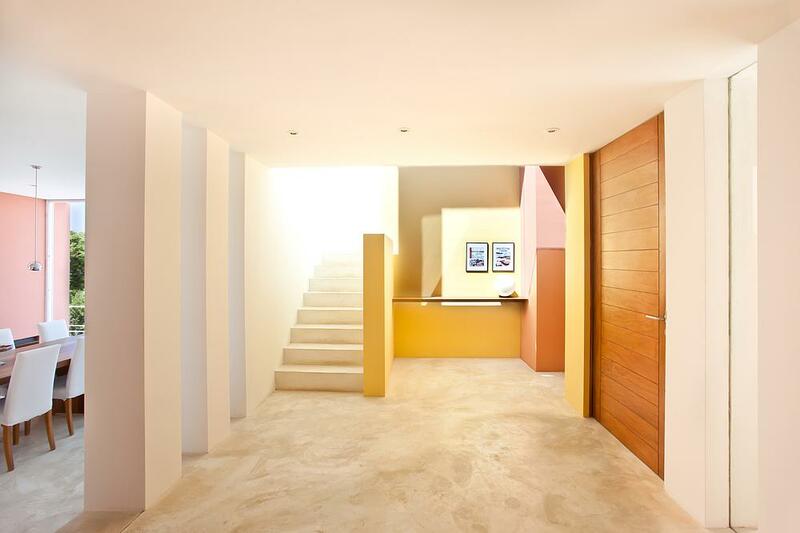 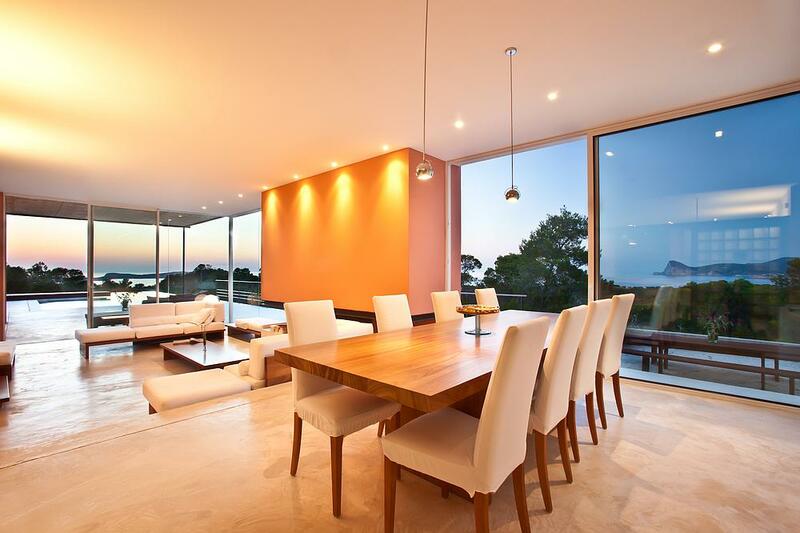 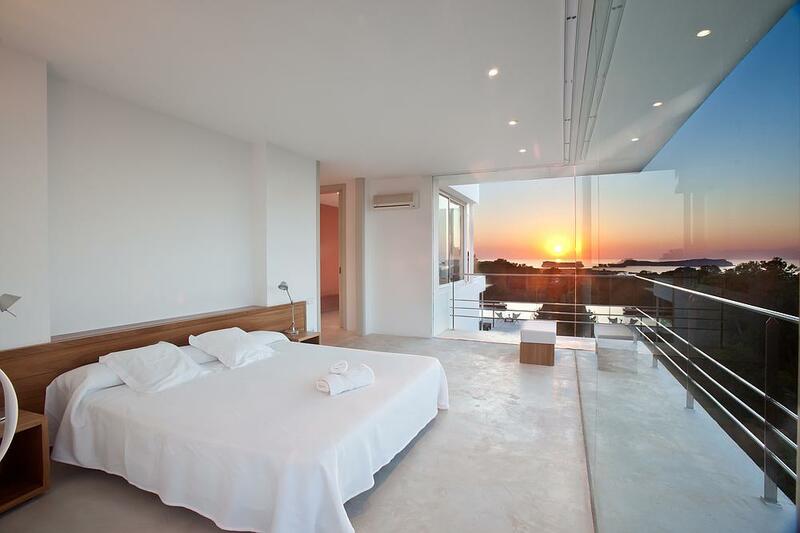 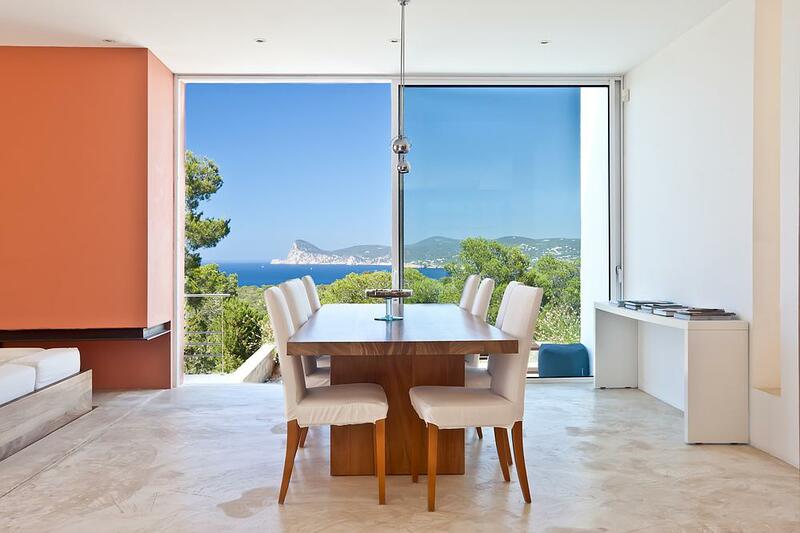 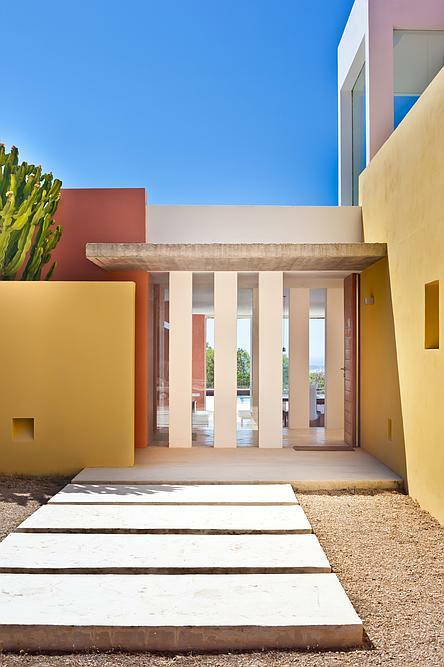 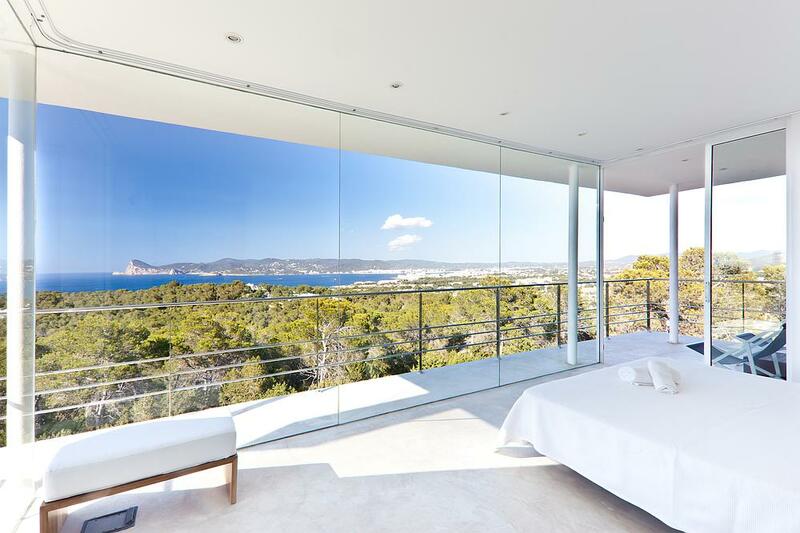 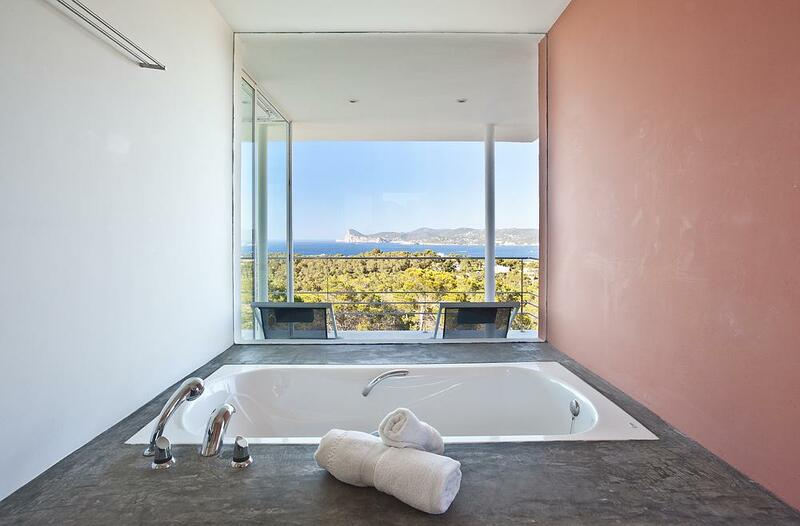 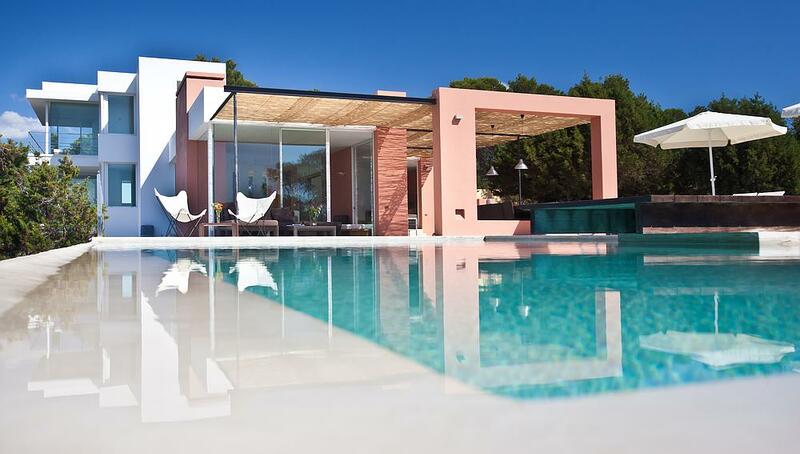 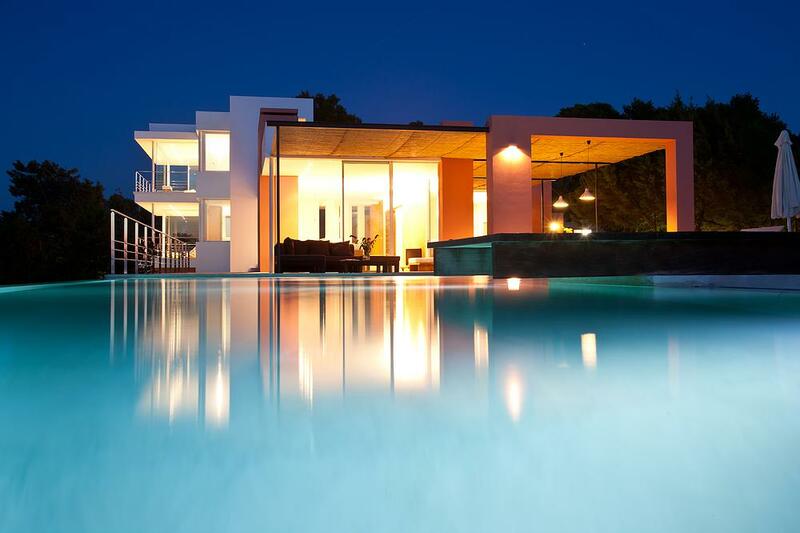 This outstanding contemporary villa is ideally situated between the beautiful beaches of Cala Conta and Cala Bassa in the south west of the island. 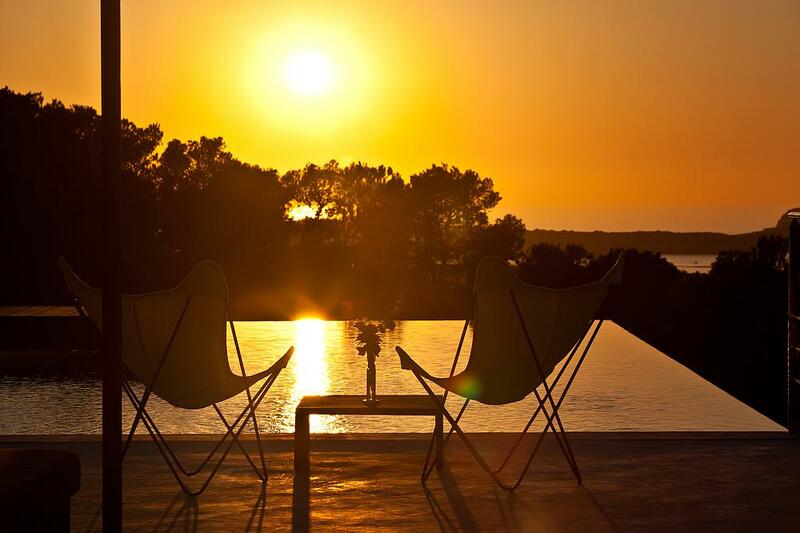 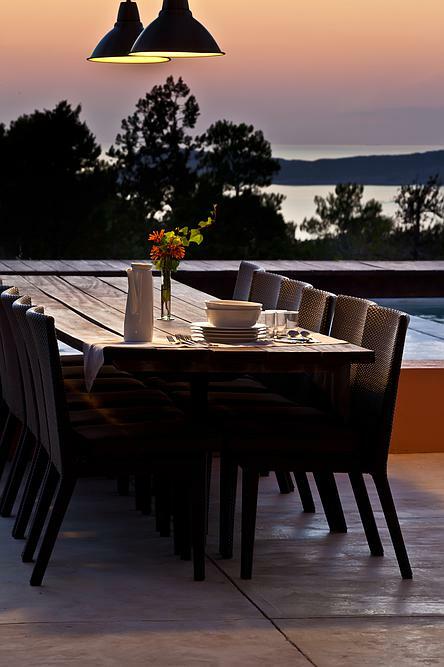 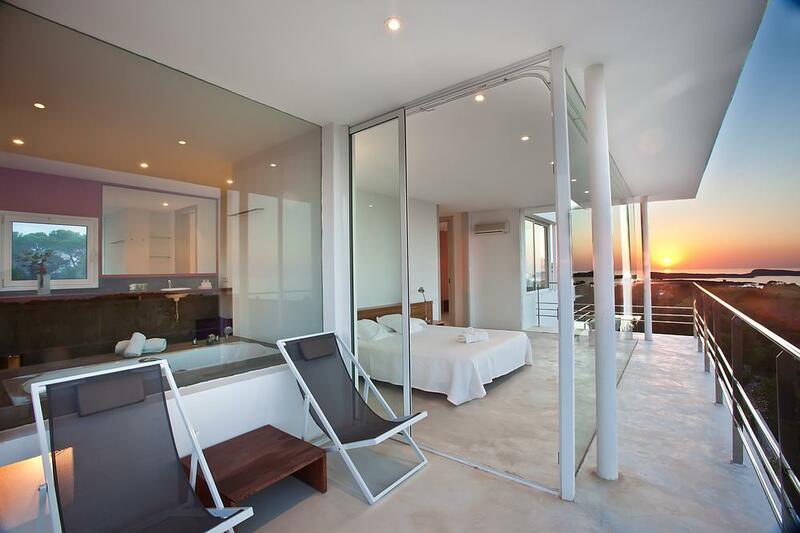 Set in 37,000m2 of forest, it offers breathtaking sunset views. 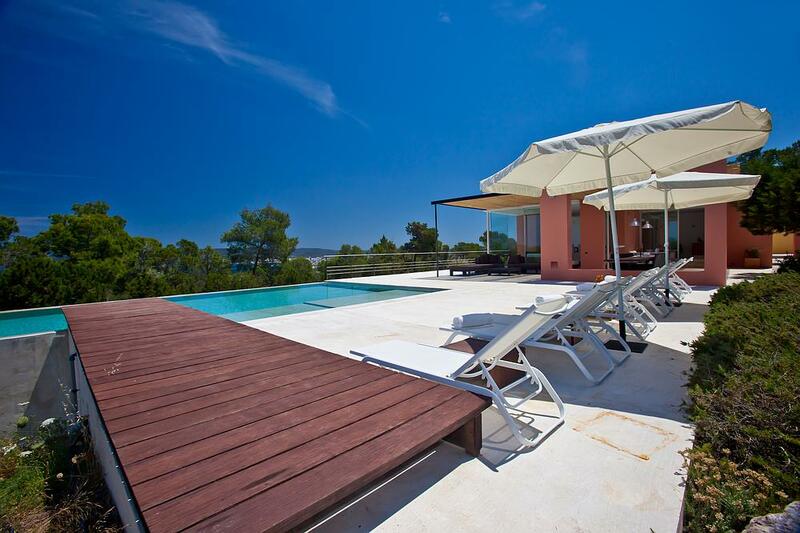 OUTDOOR AREAS There is a 13 x 5m infinity pool, superb outdoor dining areas with BBQ, it is only a 4 minute walk to the beach and is totally secluded. 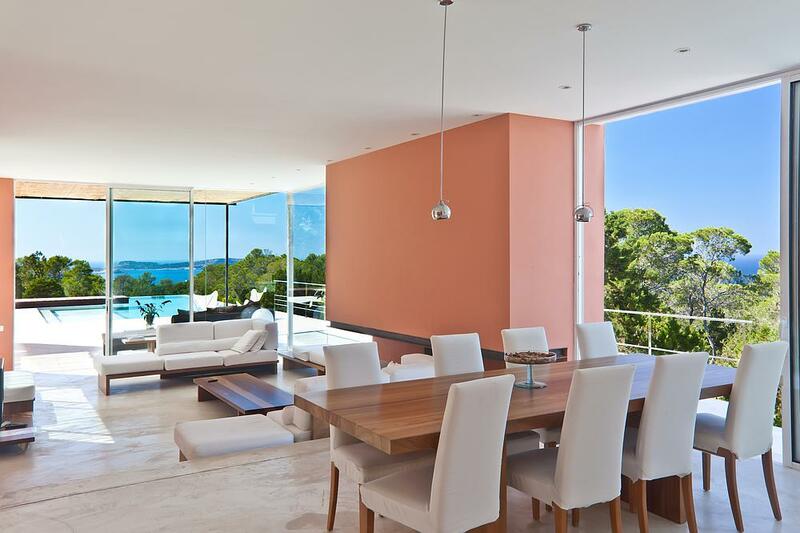 LIVING AREAS The spacious open-plan living areas consist of a large dining room and living room with access to the terraces and pool, a modern kitchen and covered outdoor dining area. 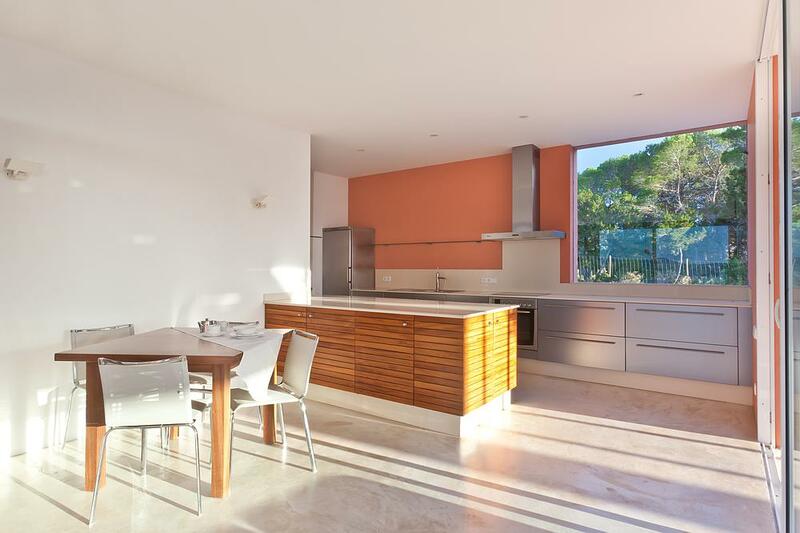 The polished white cement floors run throughout the house and terrace areas and all rooms have been furnished to a very high standard. 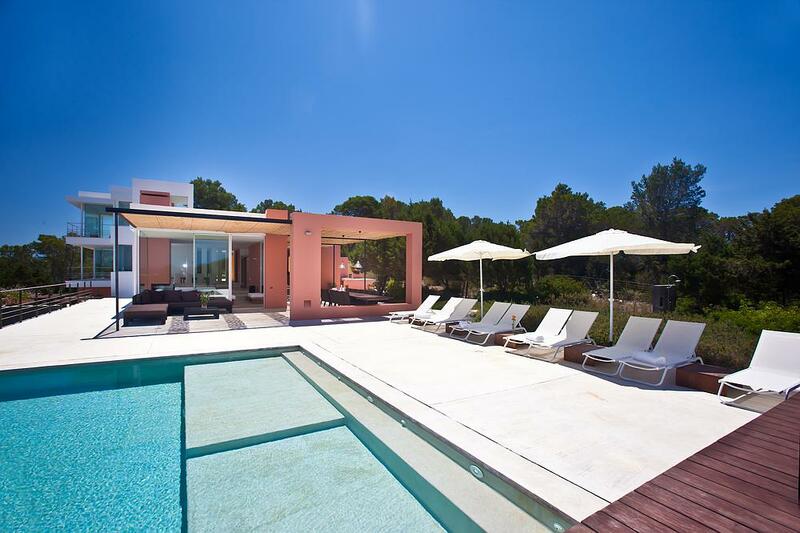 OUTDOOR AREAS There is a 13 x 5m infinity pool, superb outdoor dining areas with BBQ, it is only a 4 minute walk to the beach and is totally secluded. 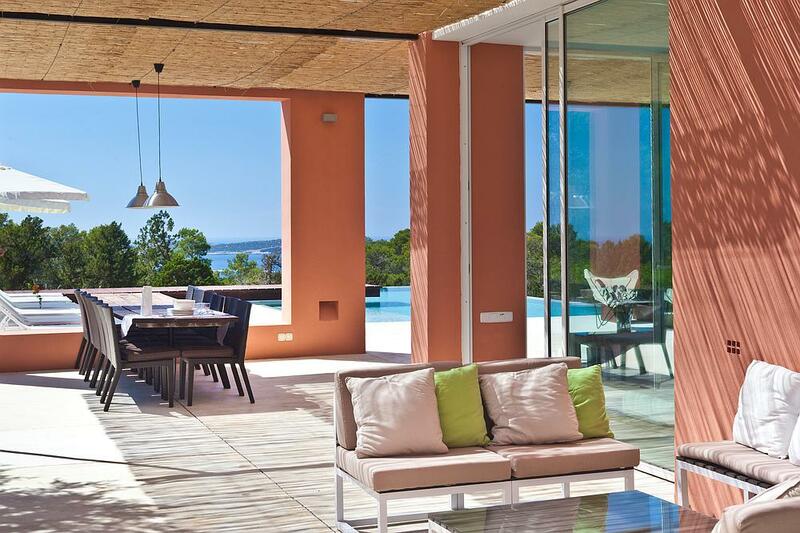 LIVING AREAS The spacious open-plan living areas consist of a large dining room and living room with access to the terraces and pool, a modern kitchen and covered outdoor dining area. 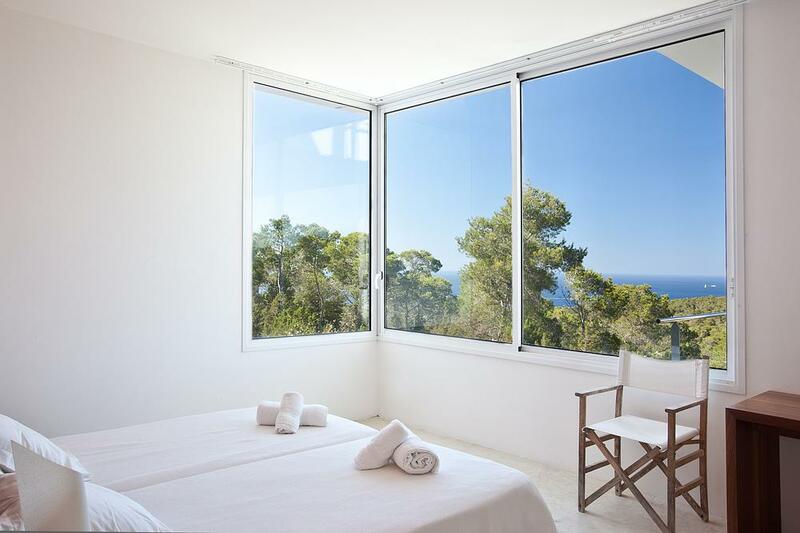 The polished white cement floors run throughout the house and terrace areas and all rooms have been furnished to a very high standard.